6th floor - with lift! This two bedroom apartment is right at the foot of the piste, less than 50m from the start of the gondola lift. 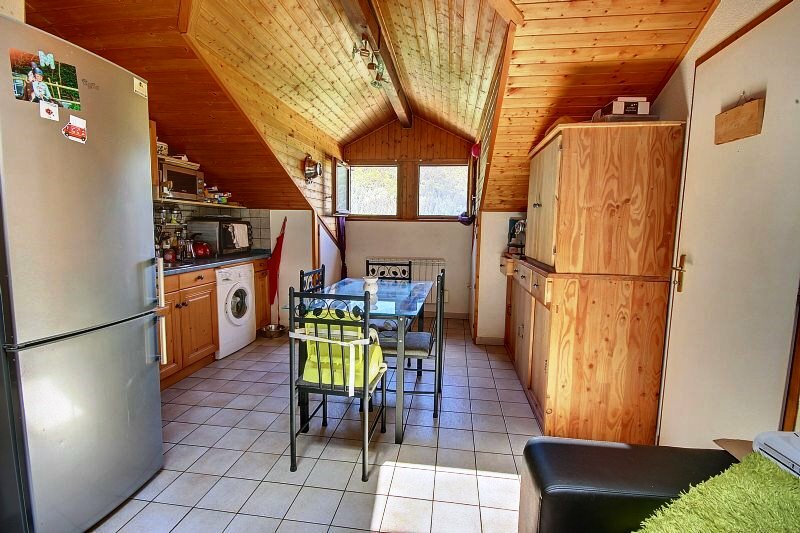 It is close to the centre of the resort, shops, cafés and ski school are close at hand. And nearby is a bus stop where you can take the shuttle to the main village of Saint Jean d'Aulps which has more shops, restaurants, amenities and schools. It is on the top floor of a building with a lift. The space under the sloping ceilings has been ingeniously used to provide plenty of storage areas. 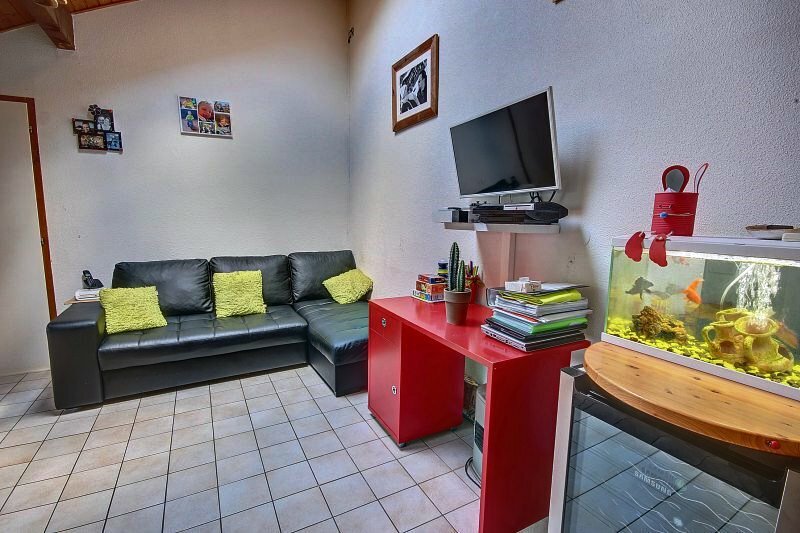 The total floor area is about 45m² and the accommodation includes 2 bedrooms and an attractive, equipped kitchen. The sale includes the furniture, a cellar and a private covered parking space. An open living room with an equipped kitchen, a bedroom with a double bed and built-in wardrobes, a bedroom with a single bed, a bathroom and a WC. Included in the price are the furniture, a cellar with shelving and a reserved covered parking space. Le Roc d’Enfer is the name of Saint Jean d'Aulps' ski resort. It has become an important winter sports resort & destination. It offers many natural advantages for skiers and snowboarders, including the famous Roc d'Enfer circuit. The ski resort has an excellent snow record, and is an integral part of the Portes du Soleil. The village has a friendly and relaxed atmosphere that is ideal for families. For the more experienced or adventurous skier the resorts of Morzine/Avoriaz & Les Gets are 15 minutes drive away as is the Ardent lift - both of which offer quick access to over 650km of linked skiing in the Portes du Soleil. Le Roc d’Enfer is becoming a popular summer destination being ideally based for a start to all summer mountain activities. "We have no hesitation in recommending France Property Angels. From the initial viewings through to the help and support of navigating the buying process, FPA have been brilliant. A huge thank you to Kate and Fiona for making the whole experience stress free!" Saint Jean d'Aulps is a hidden gem amongst resorts in the French Alps. 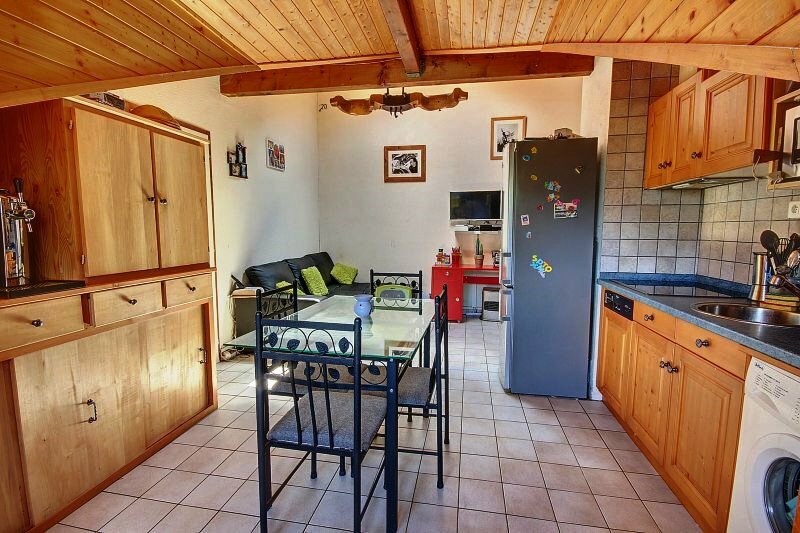 Conveniently situated in the heart of the Vallee d’Aulps this quaint traditional village retains the tranquil atmosphere of a mountain village while being at the centre of a fantastic ski region. St Jean grew around a Cistercian monastery which was built in the 11th century and the monks utilised the surrounding land to grow crops and graze their livestock. Villages such as Morzine began as on of these farming outposts. Today only the monastery's facade still stands against a beautiful mountain backdrop as a majestic reminder of the villages heritage. It's not a purpose built resort and is home to locals as well as expats all year round and so the village bustles with life throughout the year. The village provides a great range of amenities such as a supermarket, banks, butchers, pharmacy, restaurants and bars. There are also frequent shuttle bus services to other nearby villages such as Morzine and Les Gets if you want a taste of a livelier resort. Property in St Jean d'Aulps is generally priced lower compared to the more commonly recognised resorts and so buyers and investors are likely to get more for their money here. 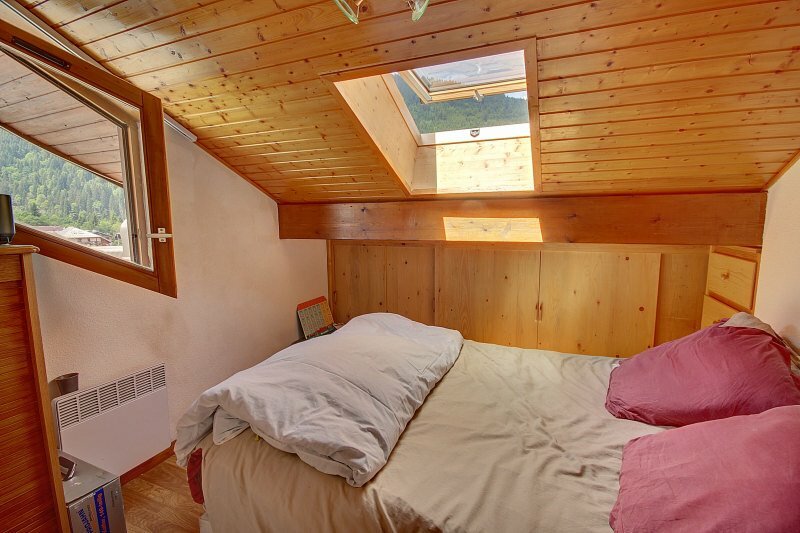 The majority of chalets in St Jean are designed according to the traditional Savoyard style with wooden and stone exterior and interior. There are also purpose built ski apartment buildings ideal for those looking for a cosy place to stay during their ski or snowboarding holidays. St Jeans ski area is about 2.5km away from the village centre and in the winter season there's a free shuttle bus to take you straight to the slopes. The area, La Grande Terche (or Espace Roc d’Enfer), offers 35km of wonderful pistes to explore. Not the largest ski areas but it is part of the Portes du Soleil ski domain, a lift pass for the whole area allows you to chose between over 650km of pistes to ski or snowboard. La Grande Terche is a great area for families beginners and intermediates with a number of easy going blue runs and some trickier red runs. Despite being well know for skiing the Alps is also a fantastic summer holiday destination. When the snow melts beautiful rolling meadows and green pastures are revealed leaving the highest of the peaks tipped in glistening white snow. There are over 200km of marked trails and paths around the village, winding through forests, along mountain ridges and up the mountain sides allowing hikers and walkers to witness some truly amazing views. There's also a range of other mountain activities to enjoy such as mountain biking, climbing, caving, paragliding, canyoning and rafting. For a more relaxing and less adrenaline fuelled day you can play golf, visit a spa, go pony trekking or swimming in one of the many mountain lakes.